Davenport Johnson participated in the Vera Cruz expedition in 1914 before taking flight training in 1916. He then participated in the Punitive Expedition in Mexico before becoming an observer and, after the U.S. intervention, an instructor and then a combat pilot in France during the First World War. During the Second World War, Johnson served in stateside posts, punctuated by an inspection tour in England and the Middle East. During this time, he argued against the emphasis on aircraft numbers that dominated production plans, particularly singling out the Vultee Vengeance as an aircraft meeting no requirement other than increasing production numbers. 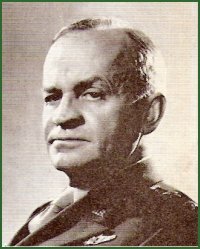 He took command of 11 Air Force in Alaska in late 1943, then relieved Simon Buckner as commander of Alaska Defense Command when Buckner was given command of 10 Army for the invasion of Okinawa. By then the Aleutians had become a backwater theater. Graduates from U.S. Military Academy. Assigned to 19 Regiment.